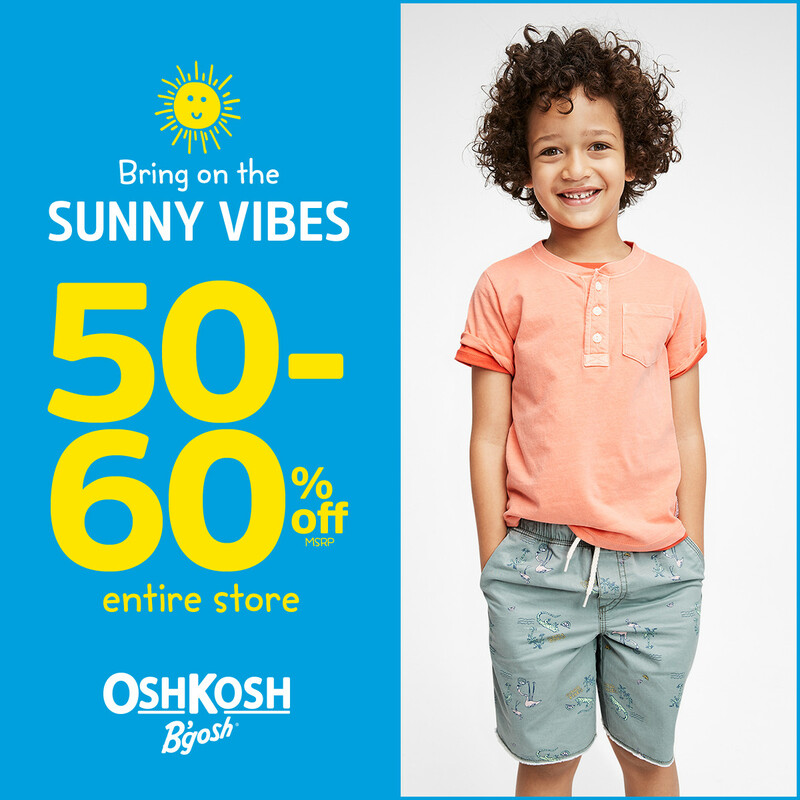 OshKosh B’gosh – 50-60% Off* Entire Store! Bring on the sunny vibes! Shop 50-60% off* everything spring, from fun tops to easy dresses, fin-tastic swim to f-l-i-p sequins! *Savings based on MSRP. Exclusions apply. See store associate for details. Valid 4/9 through 4/22.